TORONTO, April 19, 2018 /CNW/ - Today, CIBC (TSX: CM) (NYSE: CM) introduced its new global community investment brand, One for Change, inspired by the bank's team members and their dedication to helping people and communities thrive. Employees' passion, resourcefulness and tenacity are at the heart of the new brand which showcases volunteering and fundraising efforts that help people and communities thrive. "Giving back is personal for Team CIBC. We know from experience that it only takes one person to make a difference, and that great things happen when our team rallies around a common purpose," said Veni Iozzo, Executive Vice-President, Communications & Public Affairs, CIBC. "Our team's passion for giving and volunteering is the inspiration behind One for Change and this unifying brand really captures the power of people coming together around causes that have touched our clients, communities and team personally." 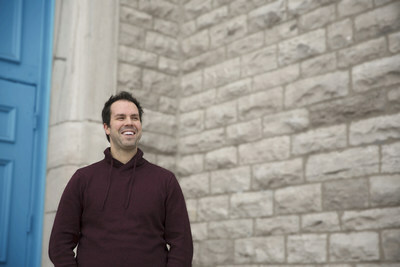 CIBC has long been committed to supporting causes that matter to its team and communities. The bank's support for two of its flagship community investment programs – CIBC Miracle Day and the Canadian Cancer Society CIBC Run for the Cure – started with just a handful of employees coming together around a common cause. Today, CIBC Miracle Day has raised nearly $250 million globally to benefit kids in need over the last 33 years, while $400 million has been raised for breast cancer through The Run since 1992 and more than 15,000 members of Team CIBC participate each year. For Olay Omodara, a member of Team CIBC, giving back is very personal. 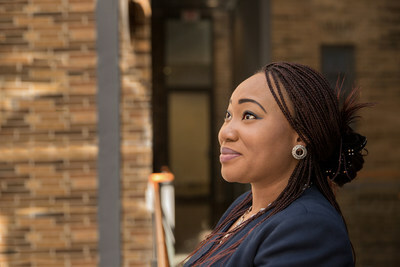 When she and her two-year-old son arrived in Canada as refugees from Nigeria, she found help and hope through programs that offered shelter, daycare and education. Olay now volunteers at the same organization that helped her get her start, noting: "I am so grateful for the generosity of complete strangers and I stay involved by volunteering with them, because I want to give back and show my appreciation. When people are at their lowest, the only thing that keeps them going is hope." 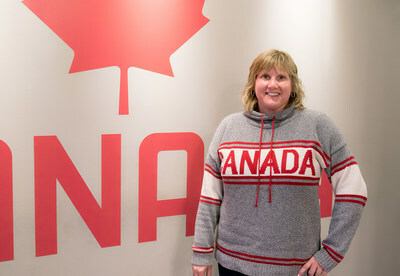 She is just one of the thousands of employees who make up CIBC's One for Change. Related to the launch of One for Change, CIBC has refined its strategic areas of focus for corporate donations. CIBC will continue to focus on making a difference for patients and their families affected by cancer, as well as investing in initiatives that help persons with disabilities live life to the fullest and shatter barriers along the way. In the U.S., CIBC focuses on financial literacy and helping people develop the skills and knowledge to have a lifetime of financial well-being.